These tips can help keep you away from our office and out on the field, court, slope, road or track where you belong. Sports Injury Prevention Tips from Dr. Kevin Stone, orthopedic surgeon from The Stone Clinic in San Francisco to help you avoid a sports injury. 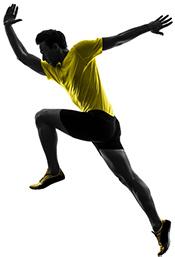 Play sport, stay injury free. Here are some tips for avoiding tennis injuries, from The Stone Clinic in San Francisco. Here are some tips for avoiding soccer injuries, from The Stone Clinic in San Francisco. Here are some tips for avoiding skiing injuries, from The Stone Clinic in San Francisco. Here are some tips for avoiding basketball injuries, from The Stone Clinic in San Francisco.